As we met for the British Flowers Week photoshoot, Simon Lycett was emerging from a mad media whirl around the RHS Chelsea Flower Show. One of the most sought-after - and charming - event florists in the country, Simon creates spectacular flowers for the rich and famous at some of the country's most exclusive venues. Rightly a media favourite, Simon featured no fewer than three times on the BBC's Chelsea programmes, demonstrating floristry to camera with his trademark theatricality and engaging humour. Simon also agreed to be the eyes and ears of BBC Radio London's Jo Good, racing around the Chelsea showground interviewing occasionally rather taciturn growers, designers and florists against the clock. "It was an amazing experience," laughs Simon. "I've never done anything quite like it. Thankfully, I have no problem talking!" This year, Simon celebrates the 20th anniversary of Simon J Lycett Ltd, his eponymous event company based in the spectacular railway arches of London SE5. Central to the celebrations will be the traditional barbeque that Simon holds annually for his cherished staff, freelancers and support team. "My studio works like a military operation. Each one of my team could run a small country!" says Simon. 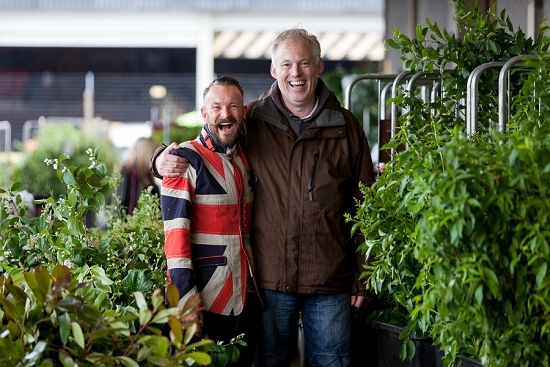 "That's why I was so delighted for my staff when we won the Flower Market Award of 'Florist of the Year' last autumn. It was a wonderful recognition of their amazing work." 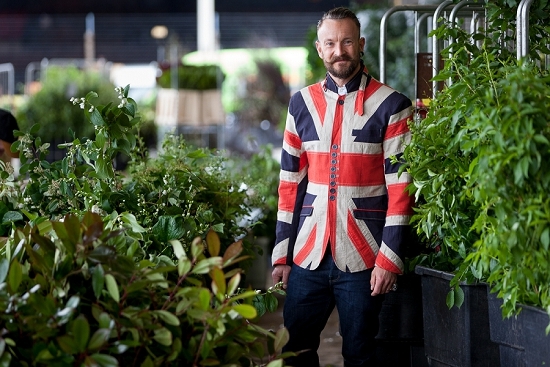 Simon is passionate about flowers and has a particular love for British foliage. 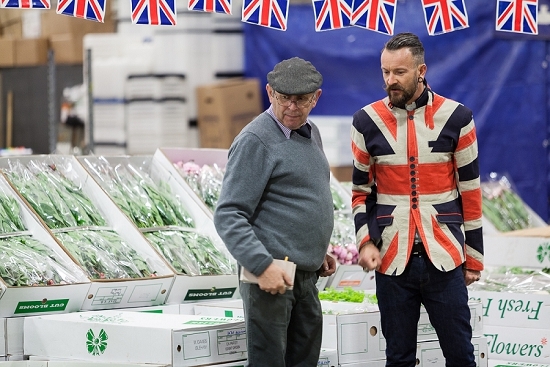 "When I'm working overseas away from the Flower Market, it's as though I've had a limb removed!" says Simon. "There is a major element missing. I love to use seasonal flowers, fruit and foliage in my designs. It gives them a sense of place and softness and seasonality." In fact, when he first came to London 27 years ago, Simon couldn’t believe that the foliage and berries from the hedgerows of his native Warwickshire had as much prestige as the exotics that he coveted at that stage. To fund his petrol money, Simon used to cut branches of blackberries and sell them to David Bacon, a then Flower Market foliage wholesaler. 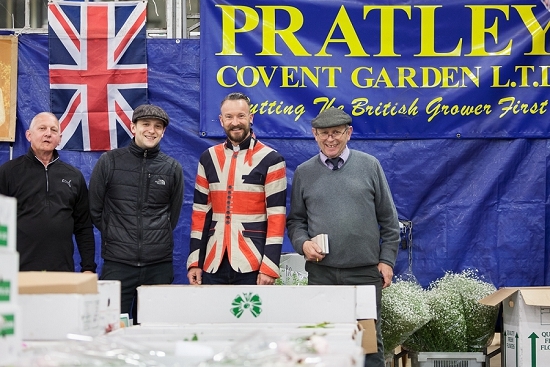 "What's great about British flowers and foliage is that they look sensational in the Cotswolds, but also translate beautifully to an urban setting," says Simon, who buys all his cut flowers and foliage and many of his plants and sundries from a wide range of wholesale specialists at the Flower Market. Followers of Simon's Twitter feed @Simon Lycett are treated almost daily to photographs of the floral gems he discovers there. However, Simon has been known to cross to the other side of the tracks… to New Covent Garden's Fruit and Veg Market, that is! Buyers Walk is an amazing destination for enthusiasts of combining fruit and vegetables with flowers in their event work. "I love to use fruit and vegetables," says Simon. "They can add fragrance, a glossy shine and are a great talking point for guests." You need to be an early bird for the Fruit & Veg Market, though. It opens at midnight and is closed by 6am!